I grew up in Wanless, a small northern community in Manitoba. I graduated from Margaret Barbour Collegiate Institute in The Pas, Manitoba in 1988. I applied and attended a secretarial program at Keewatin Community College and graduated from that program in 1989 with a dicta typist certificate. I worked at Manitoba Public Insurance Corporation for vacation relief until I relocated to BC in the fall of 1989. When I moved to BC, I worked as a secretary for a seismic upgrading company and then for a manufacturing company for a short time. In 1992, I had my first child and in 1994, I had my second child. I was a stay at home mom when my kids were little and did some volunteer work at the local preschool. My youngest child was diagnosed with autism in 1997. Despite dealing with the challenges of being a full time mom, I did manage to do some upgrading and a few courses while my kids were little. Our family moved to Qualicum Beach in 1999, where we bought a house. I applied to the local colleges for the BSN program and in 2003, I was accepted into the school of nursing at Malaspina University College. During the second year of my training, I had a back injury that caused me constant pain. I continued to push through. I graduated from nursing in 2007 with my degree and worked in a long-term care facility in Qualicum beach. During this time, there were displacements at my work place and I ended having to apply at the hospital for work. At this time, I also started attending meetings with the nurses union. I worked at Nanaimo Regional General Hospital on a medical floor until I was able to secure work again at the long-term care facility in Qualicum. During this time, I took many nursing courses including palliative care courses, wound care courses and finally wrote my gerontology nursing certification. I applied to a temporary position in Seniors Health in 2011 and was hired for the position. Shortly afterward, I had a back surgery that provided significant relief for my chronic back pain. I completed my temporary position and applied for a regular position with Senior’s health, where I still work as a seniors outreach nurse. As time went by, my union activity increased and I was asked to be the Aboriginal representative for the region and was now training to be shop steward/OH & S rep. for my work site. In 2010 I was elected chairperson of the BCNU Provincial Aboriginal Leadership Circle. As chair of this committee, I was able to work with our Aboriginal nurses to raise awareness of aboriginal issues and do presentations regarding our group.During this time, I attend an Executive Masters of Business Administration degree at UBC, in which the union sponsored me. My final project was to increase cultural competency and diversity management in the BC Nurses union. I graduate from this program at the end of the month. The union has provided me with education and opportunity that helped me in this position. Recently, the ALC has been working with Association of Registered Nurses of BC regarding forming an aboriginal specialty group. There has also been collaboration with the Canadian Nurses Association around creating Aboriginal Nursing Policy in Canada and we have supported many local activities including the Walk to protect the Musqueam midden and Truth and Reconciliation walk. In 2014, I intend to run for president of the British Columbia Nurses Union. 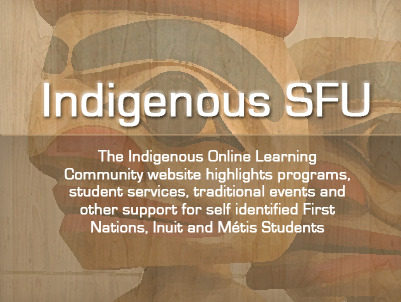 Michelle will be a panelist the the Indigenous Peoples Career Stories event Febuary 19th. Find out more.